The colourful past of Chinatown comes alive within the walls of these three beautifully-restored shophouses on Pagoda Street, comfortably nestled in the midst of Singapore's bustling Chinatown district. Every nook and cranny in the Chinatown Heritage Centre pulsates with the memories of yesteryear, offering an experience like no other as one is transported to Chinatown in the budding years of Singapore's establishment as a seaport. From the desperate hopefulness of the many “Sinkheh” (new migrants) – risking life and limb to embark on an arduous journey from the various Chinese provinces to the promised land of Singapore – to the raw, seedy and underground practices of gambling dens and secret societies, be prepared to experience a sense of nostalgia and sentimentality as you step into the pages of Chinatown's history. 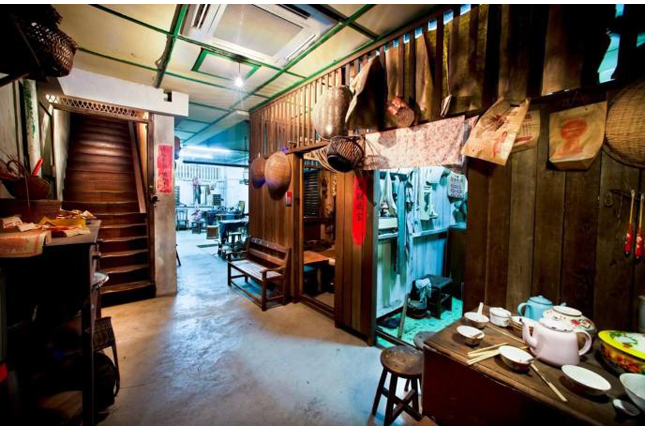 The Chinatown Heritage Centre is the only place in Singapore that has recreated the original interiors of its shophouse tenants in the 1950s, offering visitors an honest, revealing glimpse into the lives of Chinatown's early residents. Visit Chinatown Heritage Centre's website for more information.